Urban Jazz Coalition has been one of the hottest live performance ensembles on the contemporary jazz scene for some time now and 2019 marks the celebration of this ground breaking band’s 24th Anniversary as a performing group! UJC has electrified audiences performing their unique and energetic blend of R&B/Jazz/Fusion at a multitude of prominent jazz festivals around the country, including The Capital Jazz Festival, The Seabreeze Jazz Festival, Capital Jazz Fest Supercruise, The Boscov/Berks Jazz Festival, The Rehoboth Beach Jazz Festival, Jazz Fest West, The Russian River Jazz Festival, River Raisin Jazz Festival, and many more. UJC’s music has also been featured in network television programming, international film soundtracks, regional advertising campaigns, and as part of an eclectic group of artists on a Gospel/Jazz compilation project released by Capitol/EMI Records. 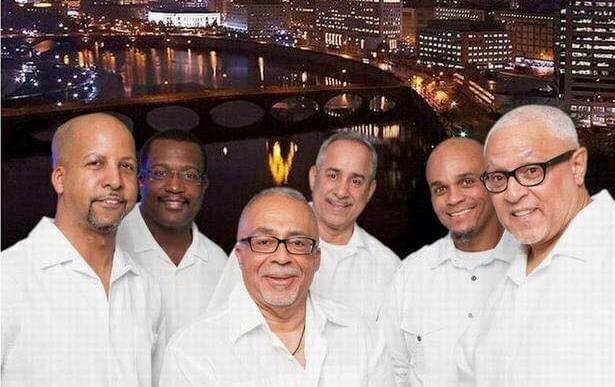 In addition to the notoriety “UJC” has earned as a self contained group, they have also become one of the most in-demand back up groups in the smooth jazz genre, having performed as sidemen for a number of top smooth jazz artists. UJC is Phil Raney (Bass & Band Leader), Hector Maldonado (Percussion), Brandon Howard (Keyboards), Richard Randolph (saxophone), Rich “Rico” Adams (drums), and Duane Tribune (guitar).